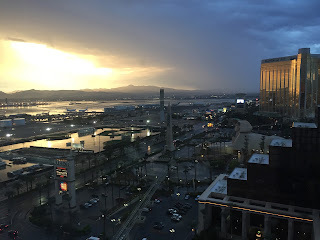 I had my trusty iPhone with me to document my weekend celebration in Las Vegas and I managed to take some interesting images. Everything in Vegas seems to be larger than life. The resorts apparently duel to be the most spectacular or outlandish. I stayed in the Excalibur, which is a castle, but New York, New York looks like a miniature version the Big Apple all crushed together. 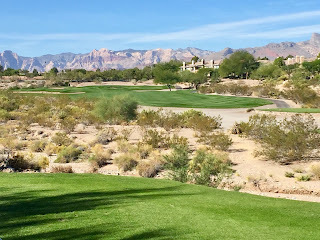 I was very impressed with the stunning scenery surrounding TPC Las Vegas where I played a very enjoyable round of golf. 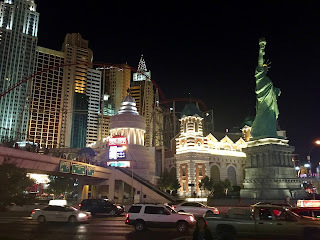 Getting out of the city and away form the casinos and the crowds was a highlight of the trip. Getting to smack the little white ball around the course was an added benefit. 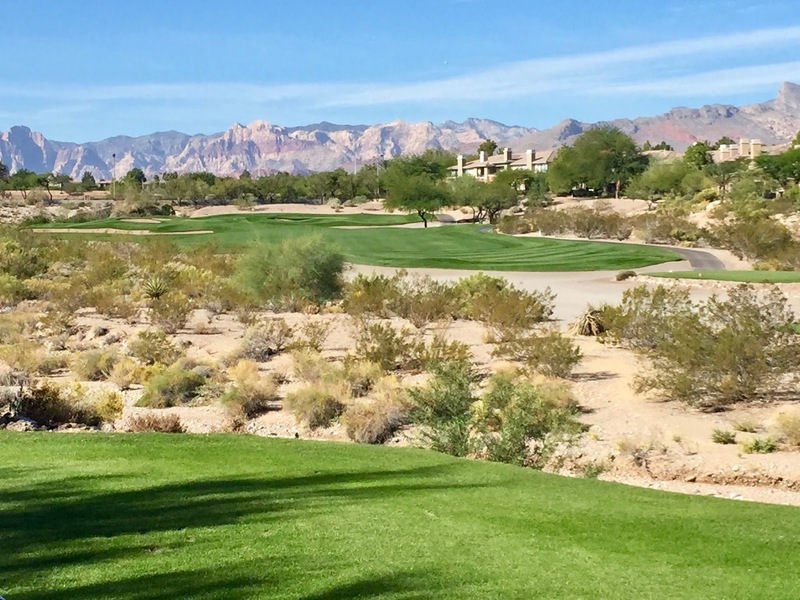 It was the first time I had played a desert course and I admit to hitting a couple of balls into the canyons guarding some of the holes. As I was walking through my resort, I happened upon a gift shop that just screamed Las Vegas--and I had to take an image of the sign. It was just a classic! I actually did not even go into the shop, but I enjoyed the lights of the sign. 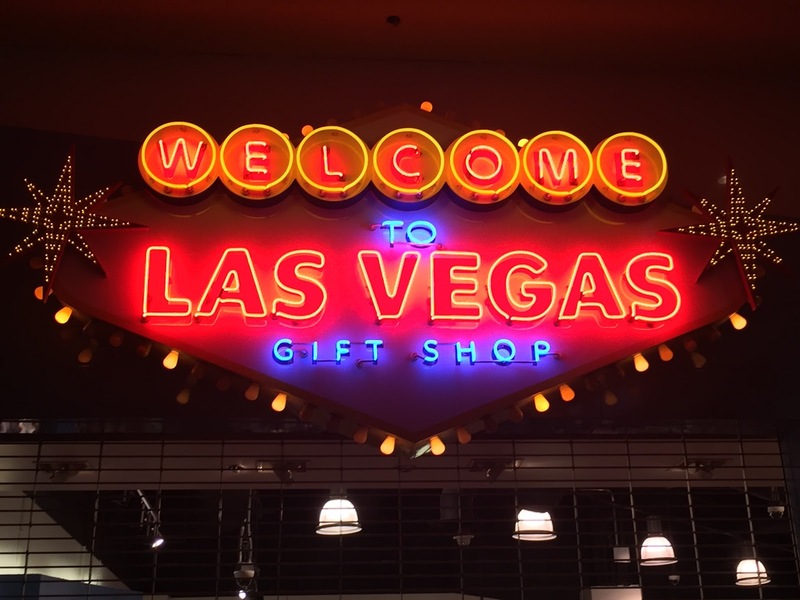 There were, of course, many more signs in Vegas, but it is a city that never seems to sleep, although at 6AM I could tell that it was slumbering. My final image is from yesterday morning after a rare rainstorm passed through and made the sunrise special. The sunlight reflecting off the airport runways was especially interesting and the illumination of the hotel down the way made for a visually stimulating shot--and yes, it was right outside my hotel window! I was amazed at how the scene outside my window changed with the rising of the sun and the passing of the day. In retrospect it was a great trip and I have to confess that I did gamble. I won $5 while betting $2, so I was ahead for the trip, I guess. I am not a gambler, but I had to play at least one slot machine and I actually played two. I did find that many of the cliches are true. 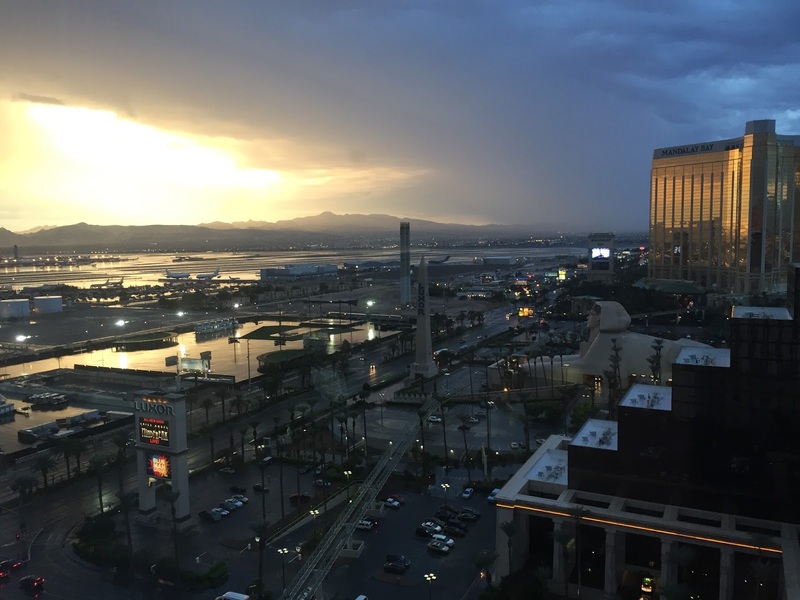 But there is wholesome fun to be enjoyed, even in Sin City.